NUUN360° knows your visitors before you do! Track visitors’ digital footprint. Drive lead-engagement with smart, automated workflows to target their interests using dynamic content via website, landing pages and targeted emails. Run lead-scoring to identify your most qualified and sales-ready leads. 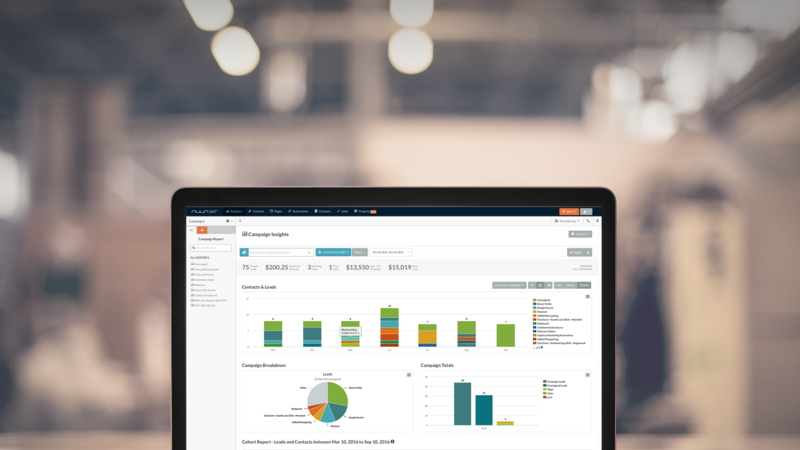 Revenue-centric Marketing Automation Suite built to optimize digital marketing programs and increase campaign efficiency. 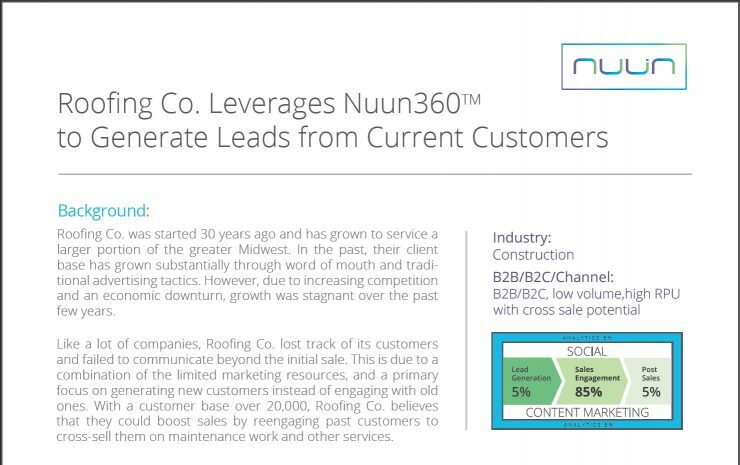 NUUN 360° offers a powerful and intuitive rules engine to simplify to manage your leads life-cycle. Use workflows to engage leads at the right stage in their buying cycle. Keep your sales team updated with daily lead alerts and ‘most-qualified’ lead lists via notifications. Stop email-blasting your customers and converse with them instead. 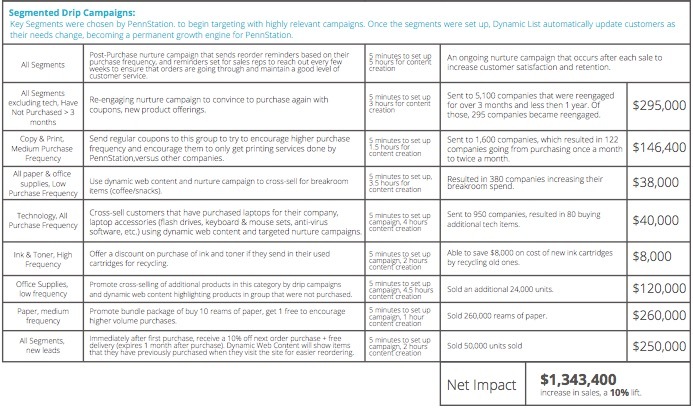 Use personalized and targeted emails to engage leads at more intimate levels. Send the right information at critical points in their decision making process, allowing your sales people to spend more time closing and less time qualifying. Create forms with dynamic input fields seamlessly using a dead-simple drag-and-drop editor. Our forms include smart fields that auto complete so that known visitors to streamline engagement and conversions. Or simply map your existing native and 3rd party forms to ours. Personalize your customers' experience with dynamic and smart content. Deliver information that matters to them most when they need it. Design and publish dynamic landing pages and marketing funnels that convert visitors into quality leads. Drive more conversions with dynamic web content that changes based on visitors’ interests and attributes. Our landing pages are fast and simple to build using WYSIWYG interface with point-and-click components. Launch a blog in minutes using a built-in blog builder, allowing you to manage and publish posts with ease. Extend the reach of your content with RSS email syndication and a built-in widget makeing it easy for visitors to share your content on social media. Schedule a live demo of Nuun360. 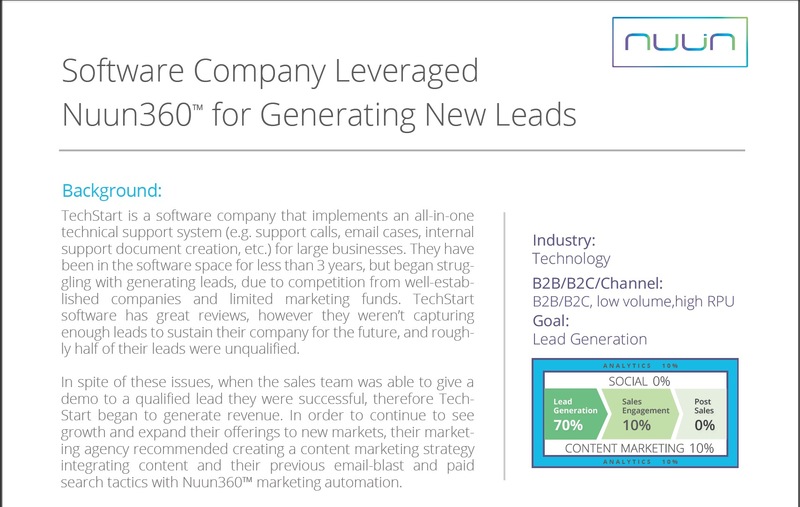 Learn how these businesses leveraged marketing automation technology to grow revenue, and turn their marketing team into revenue-accountable operations. Build better relationships. Increase email productivity. Close more deals. Add and access contact details on the fly, using LinkedIn, Twitter, Facebook, Gmail and/or directly from any webpage via browser using the Nuun360 Hub button. 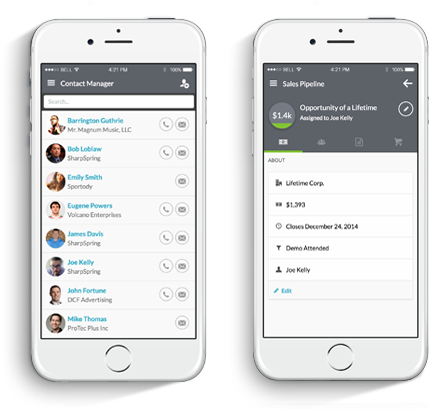 Explore your contacts, leads and opportunities on your favorite mobile device. 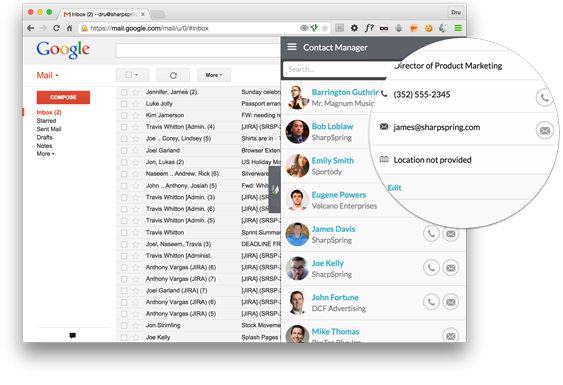 Keep marketing and sales contacts, leads, and opportunities at your fingertips. View your pipeline on the go. Whether you’re in a meeting or traveling it’s easy to look-up a particular lead, or review an opportunity before a critical meeting. With our mobile app you can view, edit, add and share your contacts, prospects, leads, sales pipeline and opportunities.